Buff Your Car: Darren reveals how a beginner can polish like a pro! And if you are like most beginners, the thought of buffing your car sends you into a spiral of anxiety due to the endless reviews and opinions you have read on the Internet, detail forums, or other social media platforms. But unlike the countless self-proclaimed experts and trolls dishing out their free advice that is based on little to no actual professional level expedience, you have found the difference. Unlike the so-called experts that can be found with every click of your computer mouse, I am going to speak from real world experience. Trained countless beginners how to safely and effectively polish cars with all types of car buffers. And unlike many of the so-called experts I have no personal agenda other than to speak from my experience. Helping you make the most appropriate choice when you are trying to choose a top rated buffer when you decide you are ready to buff your car like a pro. One of your biggest mistakes before you even get your hands on your first buffer will be an inability to stop reading review after review, opinion after opinion. Reviews can be usefual as a starting point, but with today's world of the Internet you will work yourself into a frenzy of frustration as you read one contradicting opinion after another. So stop the insanity and follow along and see if I am not able to calm your nerves, and help you make an informed decision. I need to start here as there are many guys simply looking to make their lives easier by finding a random orbital polisher to apply and remove wax. These guys are not really looking how to perform paint correction as much as they are to figure out a way to wax their car quicker and easier. To all these individuals ( no shame in this by the way) you don't need to look to hard as this is a no-brainer and does not have to be over-thought. Perfect for applying and removing wax. Not your daddy's rattle-your-jaw-loose orbital polisher of decades ago. No need to over-think things here if you simply want a easier/faster way to wax your car. 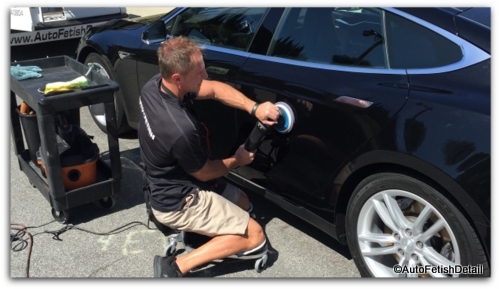 Not your "buff your car like a rock star" buffer. You know your car can look better if you could only polish the paint. You want some head turning shine. You want to produce permanent results, not a temporary band-aid approach. You have never used a buffer, never held a buffer, or have extremely limited experience. You are trying to figure out the best buffer for a beginner. If your answer was yes to most of those, then keep following along as we are going to get serious about informing you so you can make the best decision. Unlike the really scary rotary polisher, or high-speed buffer (see how I used both polisher and buffer to refer to the same piece of equipment) that typically creates nightmares of burned clear coat, swirl marks, holograms, or burned paint edges, random orbital, dual-action (DA) polishers are as safe as safe can get. In fact they are so safe that a person like yourself would have difficulty damaging your car paint even if you tried to do so intentionally. And for this reason they are not only the place to start for any complete beginner as the safest car polisher, but ideal as the best car polisher for beginners. But being the safest car buffers does not mean they are ineffective as professional grade tools. Of course like the heading suggests, not all polishers are created equal. 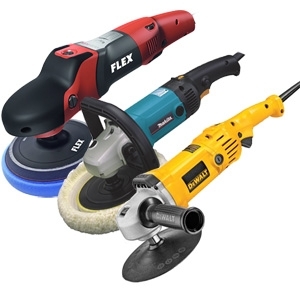 While it is possible to spend money on cheap versions of an enthusiast or professional grade polisher, the ultra safe random orbital polishers have become so massively popular due to this winning combination of safety and performance, that the industry has responded with more and more choices. The very choices I am going to continue to lay out here for you. 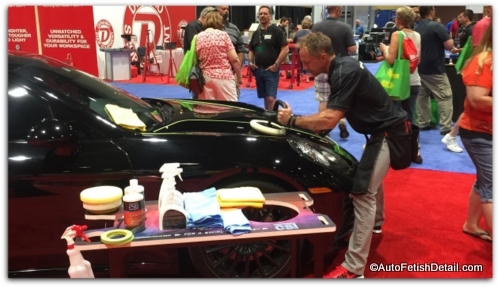 When it comes to finding the best DA (dual action) car polisher for beginners, it doesn't have to be limited to entry level. Often entry level in many industries is a nice way of saying glorified crap! For me as an experienced professional that uses these polishers on a daily basis as well as training countless guys, it is more about finding the winning balance of features and benefits rather than resigning yourself to a sub-par car buffer. Often provides a simplistic approach by getting everything in a single kit which means you are not sourcing all the items individually. Allows you to try products or accessories that you may not normally be inclined to try if you had to purchase separately. Comes with everything needed for safe polishing that will deliver permanent results to remove oxidation, restore depth and shine, remove water spots, and other paint blemishes. As safe as safe can get to buff your car. Super light and compact for easy use. Perfect kit if you are on a tighter budget but still want to produce professional results. Perfect for anyone who likes to approach anything new with extreme caution and wants to test the waters of buffing a car before dropping more serious money onto the subject. This kit is even more comprehensive by the simple fact that it also includes detailing clay to decontaminate your paint before you buff your car. I can't stress enough how decontaminating your paint thoroughly first with a quality clay bar will really make polishing your car a much better experience. Griot's Garage is one of my favorite companies that has proven themselves again and again with quality tools and products along with the best customer service. For anyone committed to achieving professional results, is on a limited budget, and wants to keep life super simple by getting everything all in one bundle. The actual car buffer I first started with when I incorporated dual action polishers into my polishing process as a professional. It doesn't matter if you consider yourself an enthusiast or have aspirations to move into the world of professional detailing, the following dual-action, random orbital buffers are as good as it gets when you are ready to buff your car or perhaps your first client as a professional. When you are ready to buff your car or a potential customers car, you will be prepared like a true professional. One of my favorite dual-action, random orbital car polishers. Quality at every step within this complete car polishing kit. Since I express the fact that this car buffer is also the heaviest I will add that this can represent either the good or bad news when it comes time to buff your car. You just won't know until you know. Some guys prefer this as it gives a more solid feel to the time behind the buffer while guys like myself prefer the lighter versions found in the Rupes as it gives an easier operating experience especially when performing long paint correcting jobs. This polisher from Rupes is part of their second generation called Mark II. Many professionals consider Rupes as the king of the hill when it comes to dual-action buffers. This kit contains everything need for mild to wild paint correction. This is also part of the second generation line of polishers from Rupes, the Mark II. Lighter than the Griot's 21mm polisher from above. Darren's Tips: I get the struggle you are likely facing to buff your car. Not only debating on whether to polish your car yourself, but now trying to find the perfect polisher for you and your world. Ironically because of your lack of experience, you will not be able to fully appreciate the nuances that separate these polishers from each other when you do buff your car. And for this reason I do my best to be as direct and candid about each polisher as I have no agenda as to which one you ultimately choose. Just know that if you catch the polishing bug, you will not be able to help yourself and eventually you will go in search of the next best car polisher. Also note that if you take the time to read the descriptions and apply that knowledge accordingly, you will not be disappointed with any of the buffers on this page. But as you can see and read, they are definitely not all created equal. I hope this has helped you not only become an informed person, but help make the most informed decision. And now you can buff your car and do so with a new understanding and confidence!